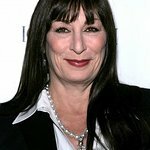 Oscar winner Anjelica Huston will bring her old furs to PETA today, where she’ll cut some into bedding for orphaned wildlife. Others will be donated to the homeless. When: Tuesday, January 30, 11:30 a.m.
“These coats were given to me decades ago, when I had no idea how animals suffered in the fur trade,” says Huston. “They’ve been sitting in storage for over 20 years. By donating them to PETA, I’ll be giving them a new purpose by providing bedding to orphaned wildlife and helping the homeless keep warm.” Among the furs are a lynx-fur jacket, a coat trimmed with muskrat fur, and a black rabbit-fur hat. Some coats will be sent from Beverly Hills to the hills of West Virginia, where the Scott Place Shelter will use them to keep the homeless warm during this bitterly cold winter. Others will be cut up and sent to Minnesota, where Cuddle Coats will use them as bedding for orphaned wildlife. PETA — whose motto reads, in part, that “animals are not ours to wear” — notes that most animals used for fur spend their entire lives confined to cramped, filthy wire cages until they’re bludgeoned, poisoned, electrocuted, or even skinned alive. Many top designers and retailers have gone fur-free, including Armani, Calvin Klein, Gucci, and Michael Kors. 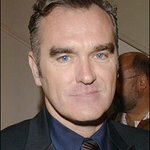 Huston joins a long list of former fur-wearers who have donated their coats to PETA, including Mariah Carey, Kim Cattrall, Mary Tyler Moore, and Sharon Osbourne.